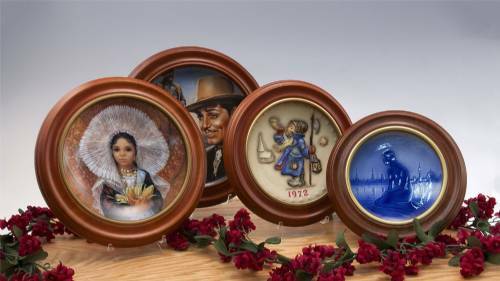 Many of us have a plate, or multiple plates, passed down from a family member that have special sentimental value. 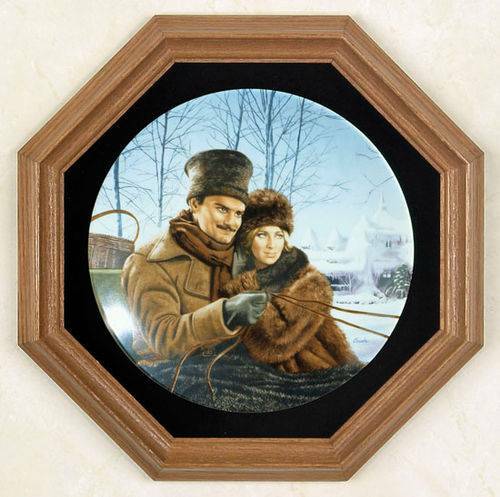 And then there are those who actually have collectible plates from Hummel, the Franklin Mint or the like. Whether they are family pieces, or collectibles you have purchased yourself, they are not typically for actual use in your kitchen, but are rather meant to be on display. So, what is the best way to display them? If you've been to Fine Home Displays, you know that there are a variety of options available when it comes to displaying your plates. There are plate easels or plate stands which work great if you would like to display your plates on a table top or on a shelf. Look at how great this collection of different sized voile plates looks when staggered in this hutch on some simple wood plate stands! The thing I always notice about great displays of a plate collection is that you don't even notice the display accessory that is holding the plate....As in the photo above, the plate easel really allows the plate collection to be the star of the show. If you don't have a nice hutch, or a lot of counter or table space to display plates, then you may have to move to the wall! 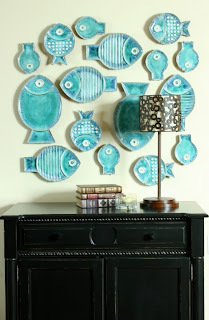 Plates are actually a great way to decorate instead of using store bought art. 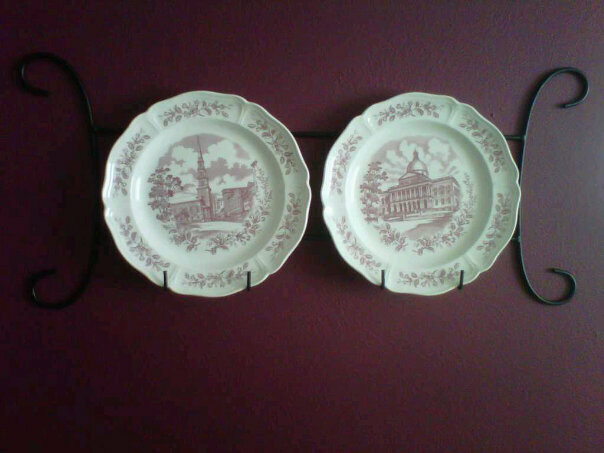 A themed plate collection hung with Invisible Plate Hangers! 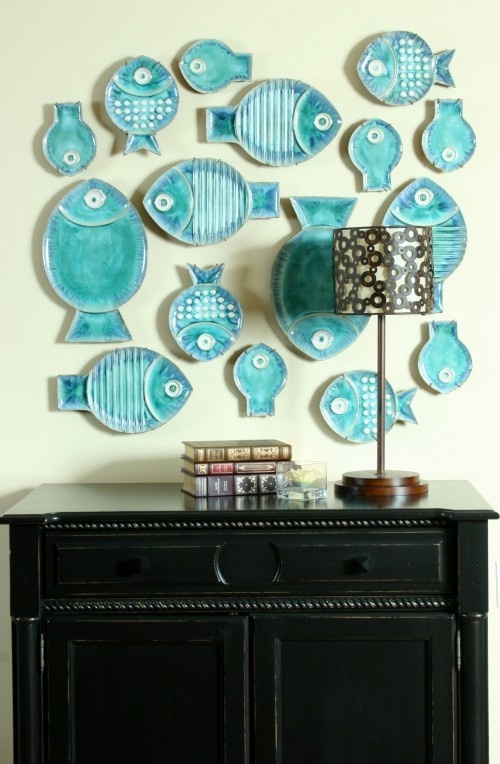 Invisible plate hangers are a great way to display a collection like this one of fish plates. 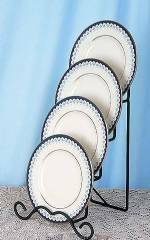 Since the plates are all different sizes, but all the same color, they look great together, but might be difficult to display on a more traditional plate rack. 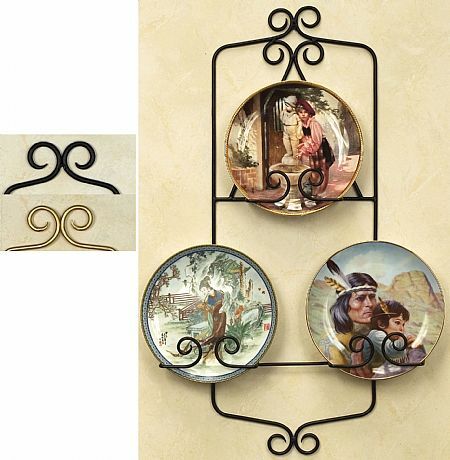 Plus, these plates are so whimsical and decorative, that the invisibility of the hangers really adds to the display. 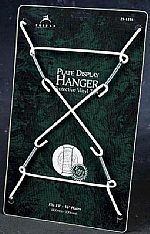 Fine Home Displays has all types of invisible plate hangers, including plate wires, adhesive plate hangers, removable adhesive disc hangers, molded plastic plate hangers, and stretch plate hangers. 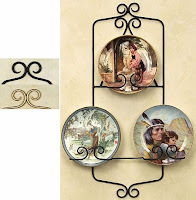 This kind of plate hanger is just so versatile because they come in all different sizes to hang plates ranging in size from 2" in diameter to 30" in diameter! If this sleek and streamlined look isn't for you, then you can go with plate racks. 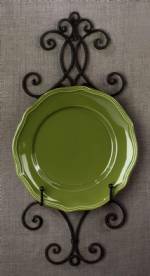 Rather than focus exclusively on your plates, wall hanging plate racks share the attention with your plates, often complementing them and your decor at the same time. This wrought iron scrolled plate rackÂ is perfect for displaying simple plates and adds its own design element to the room. Fancy Scrolls jazz up some plain plates! 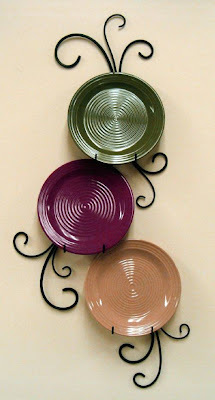 It adds a more modern element to your design, so that now these plain, but colorful, plates take on a new life! 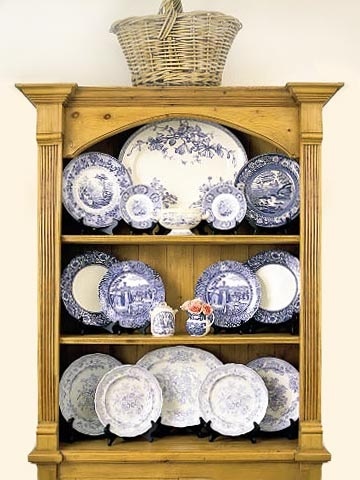 But plate racks can also be more traditional in nature, and can therefore be great for displaying collectible plates. Whether your collectible plates are from a series or whether they are a design of plates from a specific period, like voile plates, a traditional plate rack really highlights them nicely. And finally, we have plate display frames. These seem to be a favorite of those who collect plates from the Bradford Exchange, Hummel, Thomas Kinkaide, and the like. I think the reason is that a nice plate frame offers a bit more protection for your plate. There are plate frames that are round just like the plate to be displayed and have no glass covering the plate for an unimpeded view of your collectible. Then there are plate frames that are octagon in shape and have a pane of glass covering the plate displayed. These are quite beautiful pieces that really protect your plate from the elements while still allowing them to be on display in your home or office. These would be a great choice if you want to be sure that your plate remains fingerprint free, or if you are concerned about dust affecting your display. But we also have other types of plate frames available for you, so if you have a plate to display, and you like plate frames, you'll just have to check out all of the styles available. So, now that you know all of the options for displaying those plates, what will you decide? What are you waiting for? Contact us! We are happy to help you find the display accessory that will best suit your needs! We're looking forward to hearing from you. Fine Home Displays - FHD Unlimited, Inc. 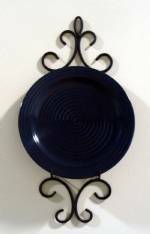 Plate Hanger - Iron Plate Rack for Plates up to 6"
Please Select...13"-16" and Up to 4.5 lbs. 15"-20" and Up to 5.5 lbs. 19"-24" and Up to 6.25 lbs.